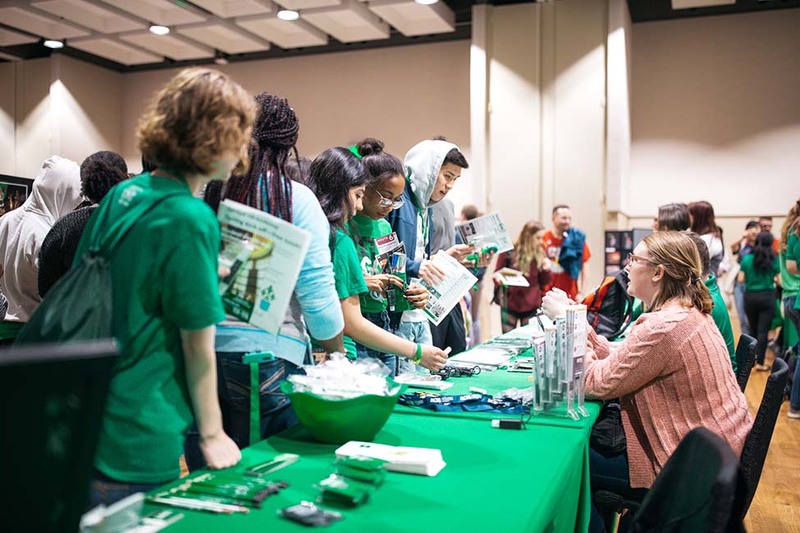 Mean Green Spring Fling, the UNT involvement fair that kicks off the spring semester, took place on Jan. 16, and allowed more than 2,000 students to learn all of the ways they could make the most of their time at UNT. The annual event, which is sponsored by Student Activities, provides an opportunity for student organizations to recruit new members and students to find involvement possibilities with departments on campus. This year, both the total number of student organizations and departments who participated (168) and the total number of attendees (2,015) were record numbers for the event. Thank you to all of the participants and volunteers who helped make the event such a huge success.